Managing large projects and multiple team members input? Try Scaffolding, the easiest way to create Live templates and reusable forms with structured data field types. Standardize, manage and instantly update wiks, knowledge bases and resources. Updating multiple template-based pages at once is impossible. Forms are static, lack structured data options. 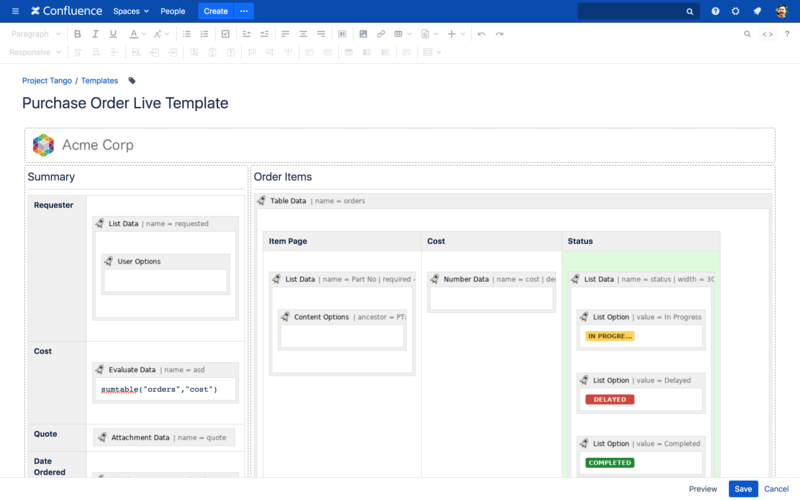 Scaffolding enables complete control over data entry and representation in Confluence. Team members can input data via a wide range of structured field types. This makes it easy to organize, calculate, and leverage information from every department, and you can update thousands of pages in real time. Enable extra Confluence field types for better form structure. 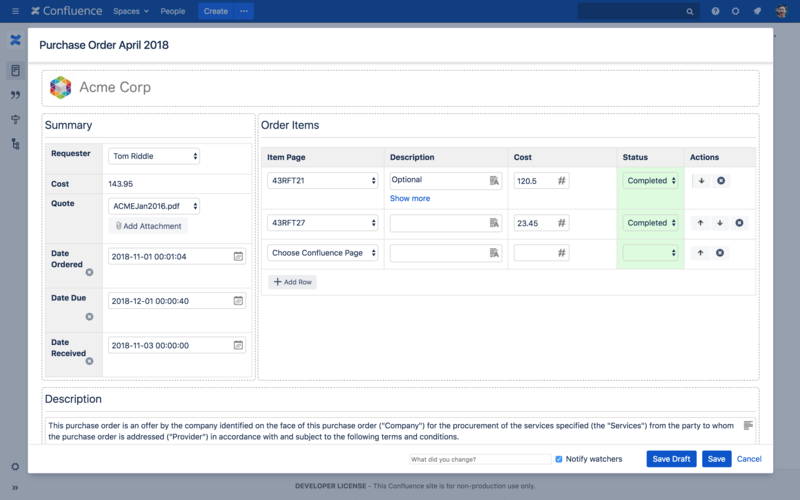 Capture data via picklists, dropdown menus, checkboxes and more to ensure pages are automatically standardized from the start. Speed up content creation and wide-scale revisions with reusable forms and Live templates. Instantly update thousands of Scaffolding pages in real-time for streamlined, scalable project management. Let every team member add to documentation without training or technical skills. Collect and present data in a way every department can understand to clarify workgroup history, roadmaps and future tasks.